We had a slow start to the Python session due to Wi-Fi and installation issues. 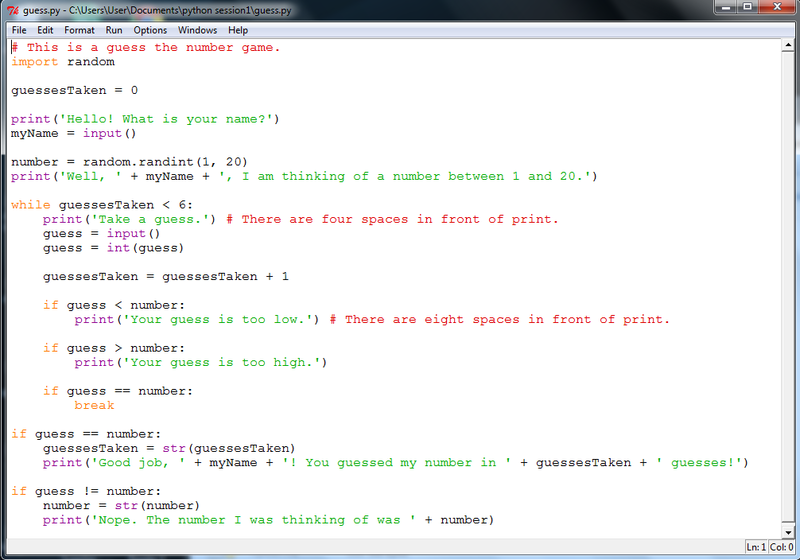 However once we got moving we managed to cover variables including strings, math operators and inputs and outputs. Ninjas are encouraged to read the first three chapters of Invent Your Own Computer Games with Python by Al Sweigart, which is available at http://inventwithpython.com/chapters/ . Next week we will be looking at loops and decisions in a number guessing game and comparing it to a similar scratch program.